Have you ever seen a goldfinch balance on the tip of a Liatris flower spike as it sways in the breeze? Or watched chickadees plucking seeds from the cones of your Echinacea blossoms? Birds enliven any garden with their colors, songs, and antics. They are also an essential part of the food chain. Planting an array of shrubs and vines, and perennials will ensure a steady supply of food and keep your feathered friends sheltered over the longest possible season. Highlighted here are some beautiful plants that will help to entice birds to your garden. 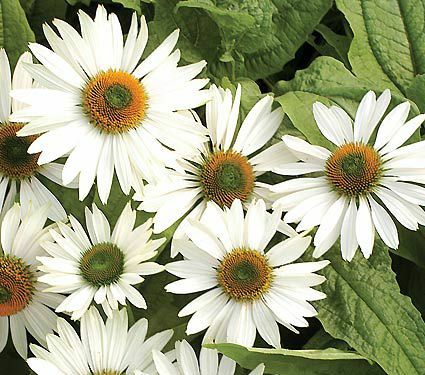 Lovely Coneflower ‘Fragrant Angel’ has large white blossoms with honey-colored centers that attract birds and other pollinators. For human admirers, it also offers a sweet perfume. 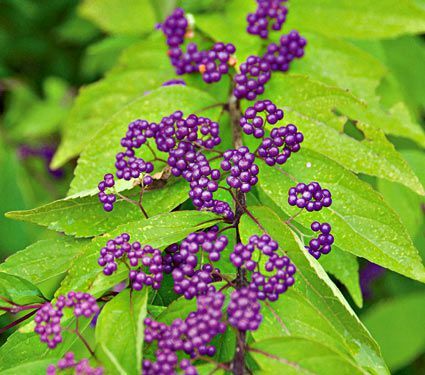 Regarded as one of the best ornamental shrubs for its late-season display of vividly colored berries, Beauty Berry ‘Early Amethyst’ shares many attributes of the species—a pleasant, rounded form, long, elliptical leaves, small pink flowers, and bright lavender berries. But this variety sets fruit in early September, well before other varieties. 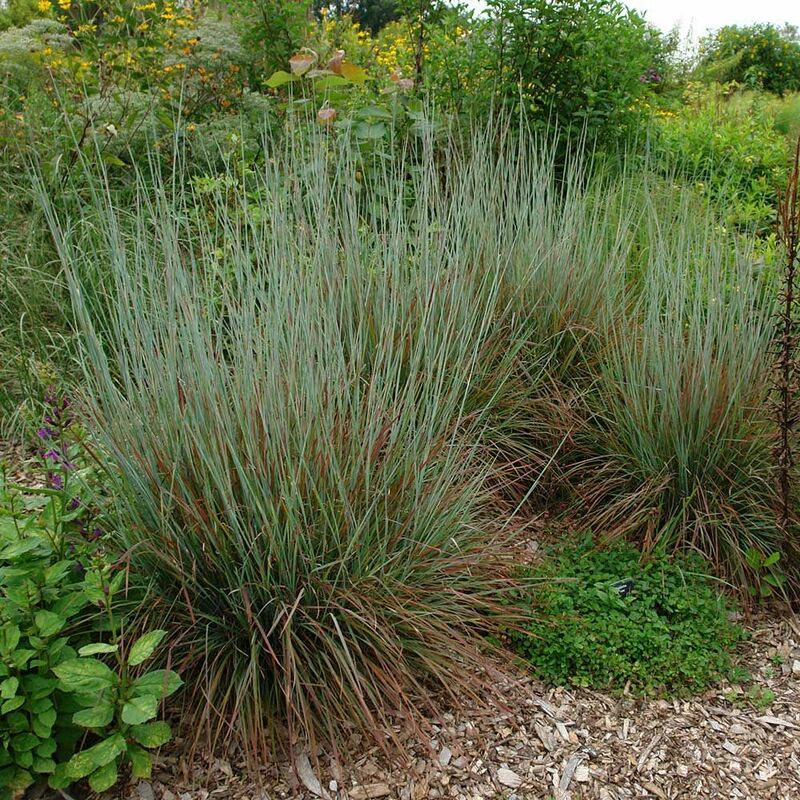 We love this tough Ornamental Grass for its well-mannered, upright habit and thick blue-green blades. Use it as a vertical exclamation point in borders, or mass it to create a screen. You’ll love watching ground birds who seek cover in its leaves, and songbirds who come to feed on its seed. Extra-large white flowers and compact size are outstanding features of this improved variety. 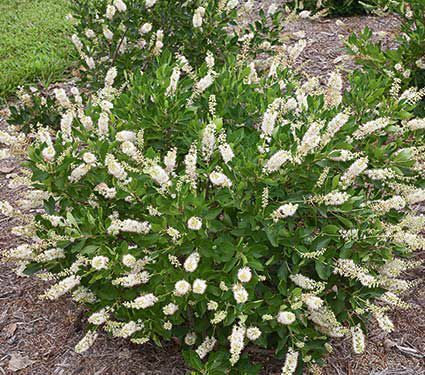 The individual florets on Clethra Vanilla Spice® are about twice the usual size, blooming in 10–12″ bottlebrush-like panicles, which appear in summer. Their sweet fragrance attracts hummingbirds and butterflies. An excellent choice for the woodland garden or a mixed border. Bring on the hummingbirds! Honeysuckle ‘Major Wheeler’ produces a blanket of tubular, reddish orange flowers (coral shades on the West Coast) from late spring through summer. Later, the red berries attract goldfinches and robins. It’s a selection of our native species, Lonicera sempervirens, and plants are both carefree and noninvasive. New lines of breeding have given our beloved Weigelas fresh garden glamour, offering repeat flowering without deadheading. 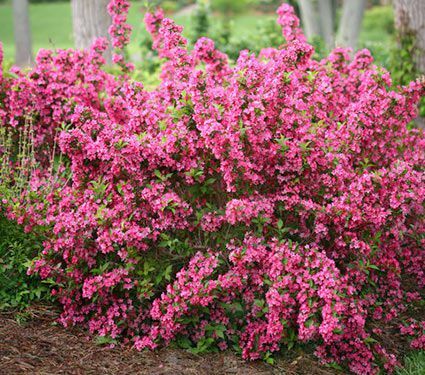 Weigela Sonic Bloom® Pink covers itself with blossoms in late spring and follows up with repeated displays until frost. The dozen or so species of the genus Weigela are easy-to-grow, deciduous woodland shrubs from east Asia. 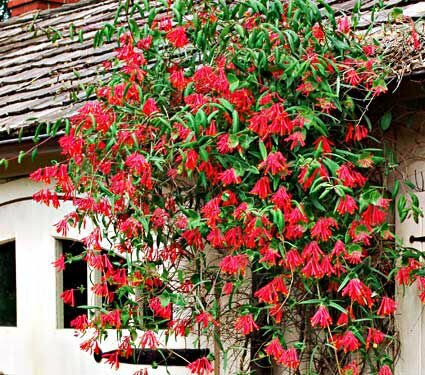 Their showy flowers attract hummingbirds and butterflies, and many Weigelas are worth growing in shrub borders or lightly shaded gardens for their foliage effects. 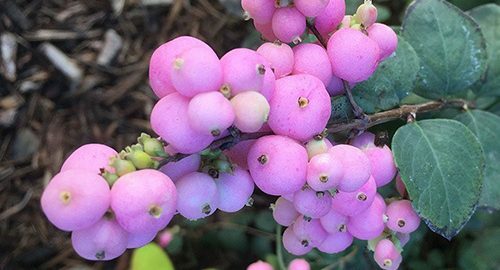 Red Chokeberry ‘Brilliantissima’ starts the season as an attractive but understated shrub with glossy leaves and small, fragrant white flowers. In fall, its foliage turns a spectacular scarlet red. 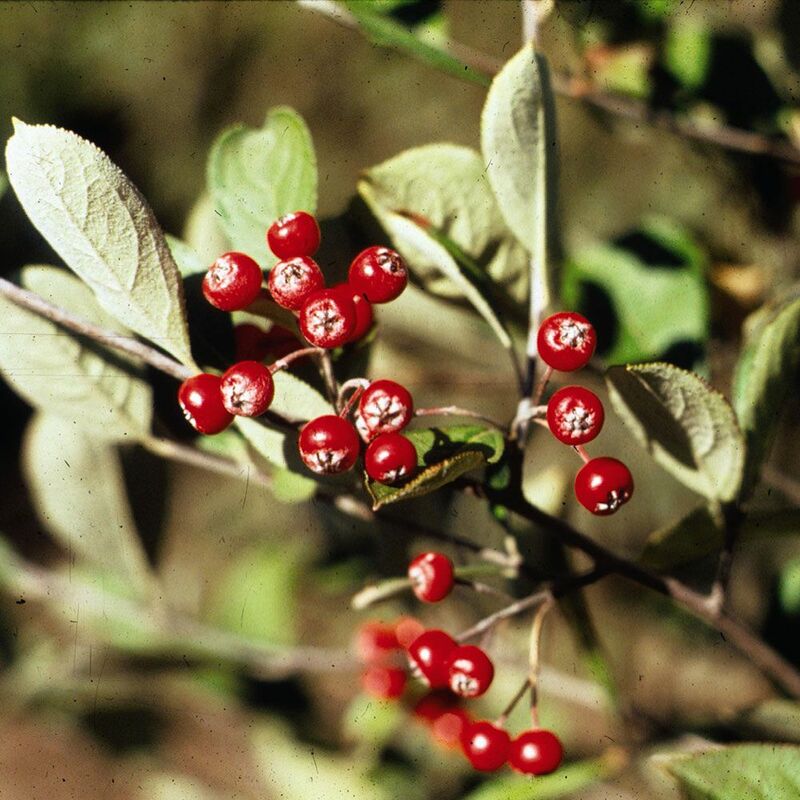 It bears bright red berries that begin to take on color in September and persist well into winter, providing much-needed nourishment for birds at a time of year when food is scarce.